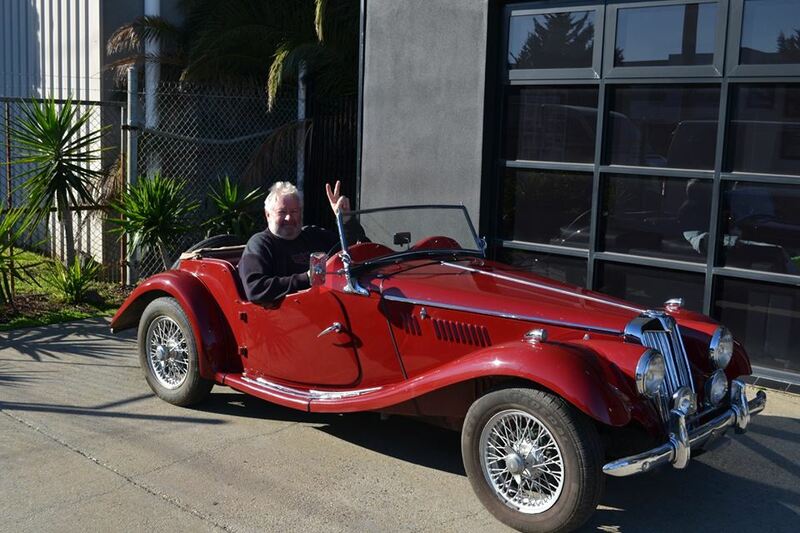 Gold Logie Award winning actor, John Wood known for his role as Tom Croydon in Blue Heelers has reached out to the team at Resto’s and Rods Garage to help sell his 1955 MG TF. John met Sam and Declan from Resto’s and Rods at MotorEx this year in the “Hall of Fame” where John had some of his cars featured alongside Andrew Daddo’s HR Holden that was restored by Resto’s and Rods for the TV Show – Resto my Ride. When John heard about the show and the work that Resto’s and Rods do with Variety, the Children’s Charity namely through the Variety Bash, John said that he would donate 10% of the proceeds to Variety when the car sold. “We marketed John’s car to our Resto my Ride audience and we quickly found a buyer for this beautiful car” said Sam, Executive Producer of Resto my Ride. Ten percent of the sale price of the MG was donated to Variety, the Children’s Charity Victoria.